THAI is the only international organization that promotes basic standards of practice and study of traditional Thai massage. There are no required annual fees and all volunteers are unpaid, but THAI still needs money to pay bills for operating expenses. With THAI, your name and contact information are listed in online directories, you receive enhanced web presence, people can contact you through the referral service, and you have access to the THAI online library for study and research. How much is this worth to you? Please make a donation now to support this important work, or become a THAI Sponsor. All donations are acknowledged and appreciated. When you make a donation you receive an email acknowledgement and tax receipt. Donations of $50 or more receive an acknowledgement and card by mail, and if you donate $100 USD or more, you become a Sponsor and you may choose from a variety of gifts. It’s easy to make a donation by MasterCard/Visa or by PayPal. Choose the amount you wish to donate, and click the button to enter your personal information. 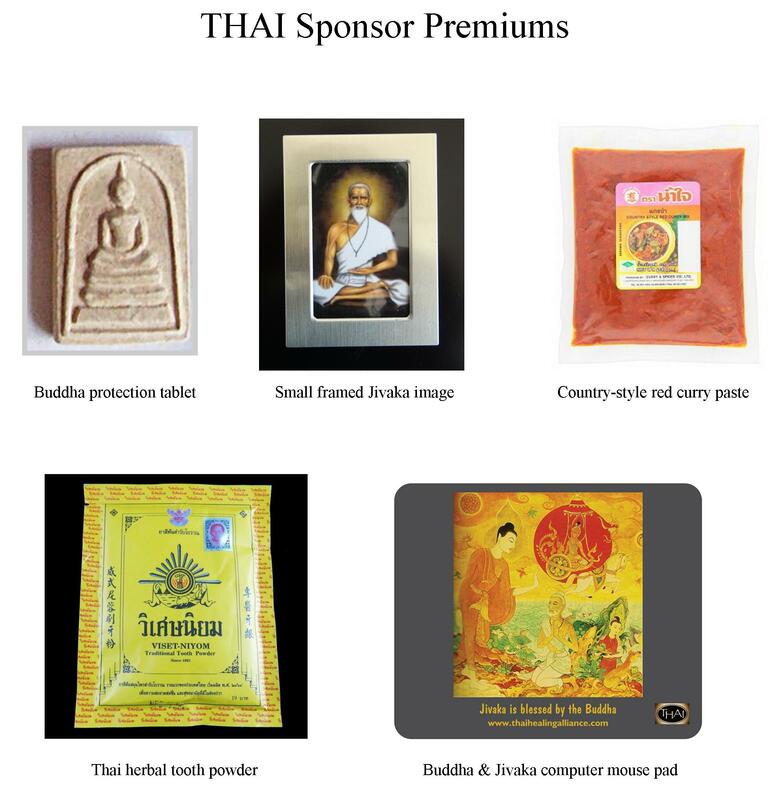 Thank you for your continued support of Thai Healing Alliance. THAI cannot exist without your help and your active participation. To make your donation, click on any button to the right. Please be as generous as possible. Thank you !